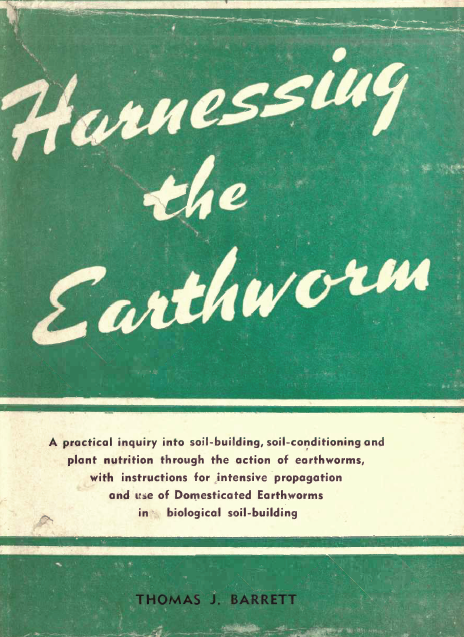 Benefits of Worms and their castings have long been known, and here is one example from Thomas J. Barrett”s Harnessing The Earthworm. more than the control box without earthworms. 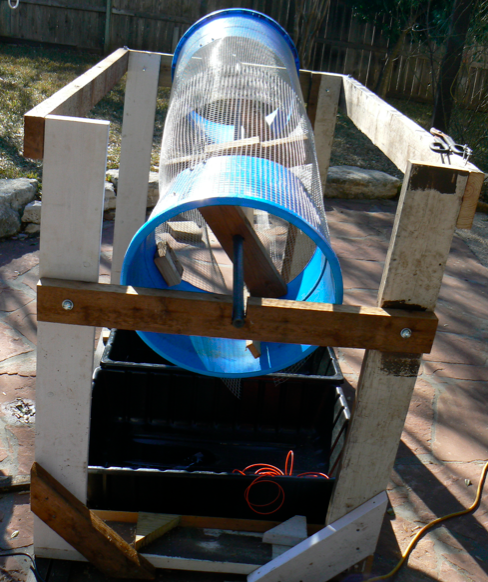 For large jobs of sifting worms from castings or compost I use my Texas Worm Harvester, but for smaller jobs I have built a small box sifter. 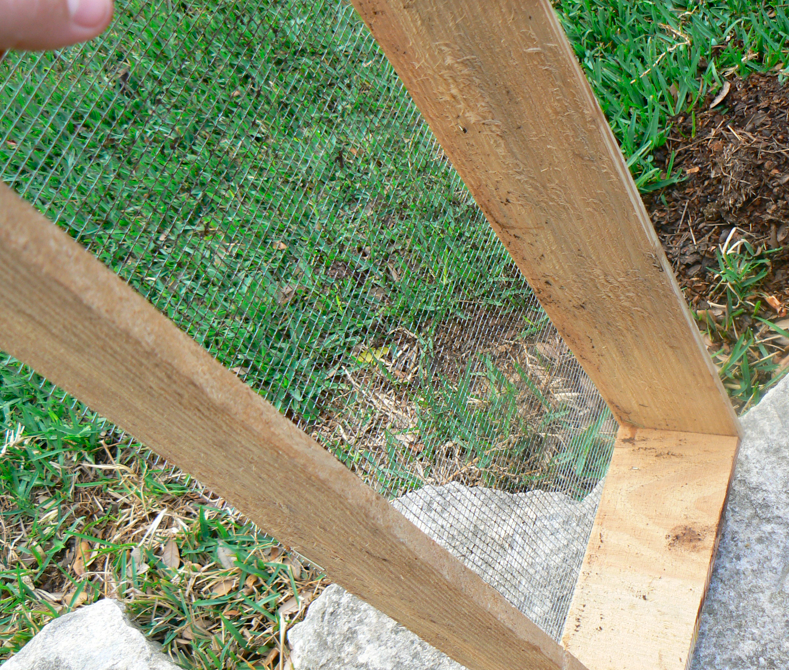 With some scrap materials, and the left over 1/4 inch wire mesh I had I put together this sifter. I have also seen where other worm farmers use 1/8 inch screen, for my use I have found the 1/4 inch to do just fine. Separating worms from castings using this or the harvester method is the first step I take and removes most of the worms are course unprocessed organic matter. I do spend time picking out tiny worms and eggs, but losing a few is not a big deal. Here is a picture of a tiny hatchling that I found while harvesting castings. As you can see, or maybe not, these little guys are hard to find. This little thread of a worm was wiggling which made him easier to see. Spring time means it’s time to plant. The whole family pitched in helping my parents with the garden. 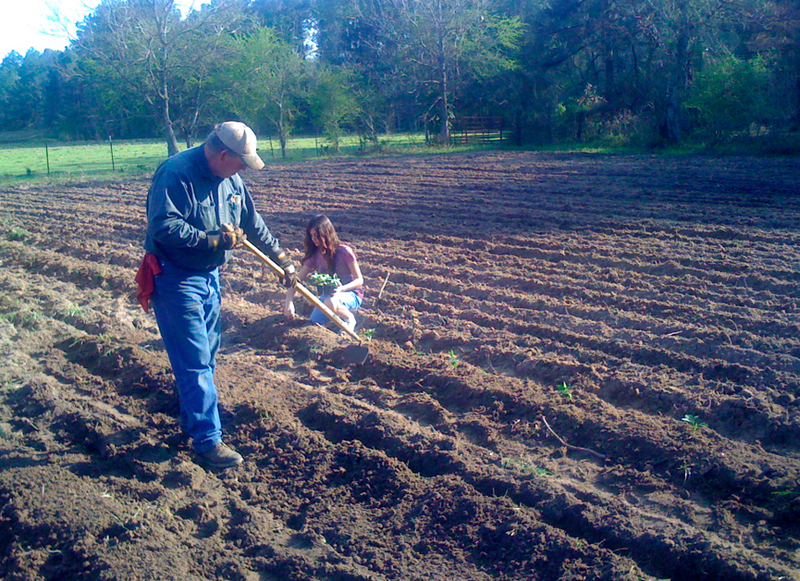 My niece and dad are pictured above planting the watermelons. I supplied the worm castings, and a little hoeing to help out. 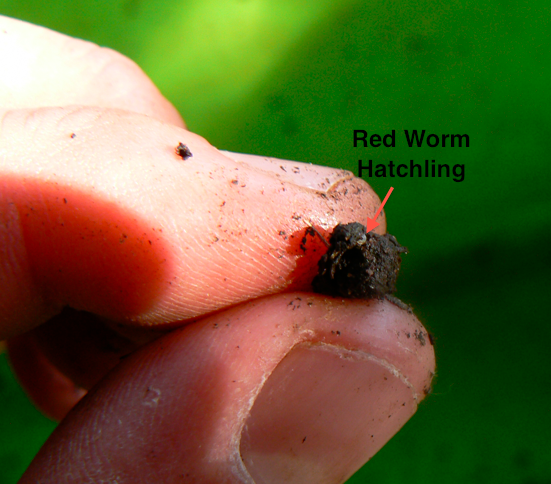 Worm castings are one of the benefits to raising your own worms. 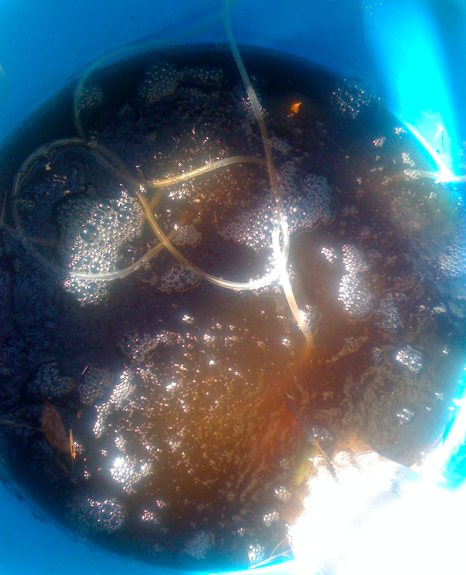 Composting food waste with worms will give you your own organic fertilizer. All natural fertilizer that strengthens roots of plants, improve disease resistance, and makes better tasting vegetables. Check out these links for additional information and benefits from gardening with worm castings. 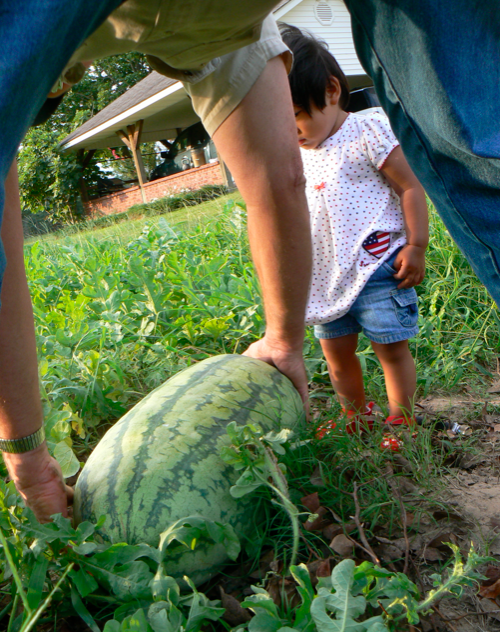 We’ll be looking forward to some more tasty vegetables from the garden this year. After several weeks and hundreds of pounds, I have made a few modifications to my worm harvester. The first thing I did was replace the 1/2 inch hardware cloth w/ 1/4 inch screen throughout. The 1/4 inch screen keeps the majority of the worms out of the catch tubs and sends most worms to the end bucket along w/ the larger sized material. I still have to spend some time picking through the worm castings for eggs and baby worms. Using this method I have been able to speed up the process of separating worms from castings considerably. Another change I made was adding a scrap piece of particle board to the front end to make loading easier and to prevent back flow. The only other modification was to tweak the angle slightly. I have the end pieces bolted so that I can adjust the height, also I can add blocks underneath to change the level. 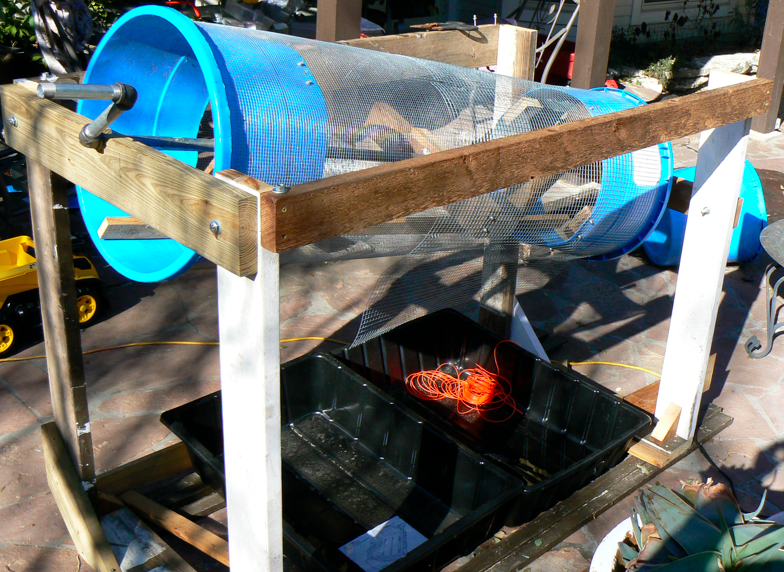 Just about to have v.1.0 of the Texas Worm Harvester in operation. This one isn’t going to win any beauty contests or craftsmanship awards, but I think it’s going to get the job done. All the lumber I used was left over from previous projects, and I had to buy just a few bolts and nuts. I still have to finish attaching the hardware cloth, but thought I would share a couple of shots before it’s in production. We are expecting a break in this “cold for Texas” snap and are planning on temps in the low 60’s tomorrow. My SuperBowl weekend plans are set, and harvesting some worm castings is at the top of the list.